Located in the grounds of Porth Veor Manor Hotel on the north Cornish coast, just one mile from Newquay. Take the dual carriageway to the next roundabout and then the A392 signed Newquay. Proceed around 4 miles and at Quintrell Downs take the right hand turn to Newquay and Porth (A3058). Proceed for around 3 miles and at the mini-roundabout turn right onto the B3276 and Porth. 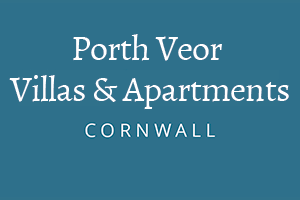 Porth Veor Villas and Apartments is half a mile on the left in the grounds of Porth Veor Manor Hotel. Car parking can be found first or second right and check-in is at the hotel reception.